Allens Total Perimeter Security has been operating successfully within the security sector for over 65 years. 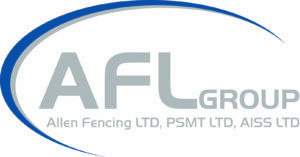 Originally established in 1950, the company has accumulated a wealth of experience and evolved into the country’s leading fencing and security contractor, providing effective physical and electronic security solutions throughout the UK and Europe. We offer complete turnkey solutions to meet your physical security requirements. Perimeter Security Maintenance and Technologies can offer a fully integrated design and installed security package, including project management, power fencing, perimeter intruder detection systems (PIDS), turnstiles, crash tested speed gates, swing gates, pedestrian gates, rising bollards, road blockers, rising arm barriers, vehicle arrest systems, hostile vehicle mitigation, explosive and ballistic protection, systems integration, as well as more conventional forms of perimeter security fencing complete with all associated civil and mechanical works. All our staff and operatives are security cleared to various levels and receive the highest standard of training.